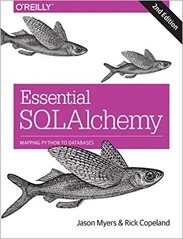 Essential SQLAlchemy by Jason Myers and Rick Copeland is a short book about the Python library SQLAlchemy which provides a programming interface to databases using the SQL query language. As with any software library there is ample online material on SQLAlchemy but I’m old-fashioned and like to buy a book. SQL was one of those (many) things I was never taught as a scientific programmer, so I went off and read a book and blogged about it (rather more extensively than usual). It’s been a useful skill as I’ve moved away from the physical sciences to more data-oriented software development. As it stands I have a good theoretical knowledge of SQL and databases, and can write fairly sophisticated single table queries but my methodology for multi-table operations is stochastic. I’m looking at using SQLAlchemy because it’s something I feel I should use, and people with far more experience than me recommend using it, or a similar system. Django, the web application framework, has its own ORM. Essential SQLAlchemy is divided into three sections, on SQLAlchemy Core, SQL Alchemy ORM and Alembic. The first two represent the two main ways SQLAlchemy interacts with databases. 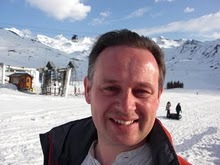 The Core model is very much a way of writing SQL queries but with Pythonic syntax. I can see this having pros and cons. On the plus side I’ve seen SQLAlchemy used to write, succinctly, rather complex join queries. In addition, SQLAlchemy Core allows you to build queries conditionally which is possible by using string manipulation on standard queries but requires some careful thought which SQLAlchemy has done for you. SQLAlchemy allows you to abstract away the underlying database so that, in principle, you can switch from SQLite to PostgresQL seamlessly. In practice this is likely to be a bit fraught since different databases support different functionality. This becomes a problem when it becomes a problem. SQLAlchemy gives your Python programme a context for its queries which I can see being invaluable in checking queries for correctness and documenting the database the programme accesses. On the con side: I usually know what SQL query I want to write, so I don’t see great benefit in adding a layer of Python to write that query. SQLAlchemy Object Relational Mapper (ORM) is a different way of doing things. Rather than explicitly writing SQL-like statements we are invited to create classes which map to the database via SQLAlchemy. This leaves us to think about what we want our classes to do rather than worry too much about the database. This sounds fine in principle but I suspect the experienced SQL-user will know exactly what database schema they want to create. Both the Core and ORM models allow the use of “reflection” to build the Pythonic structures from a pre-existing datatabase. The third part of the book is on Alembic, a migrations manager for SQLAlchemy, which is installed separately. This automates the process of upgrading your database to a new schema (or downgrading it). You’d want to do this to preserve customer data in a transactional database storing orders or something like that. Here I learnt that SQLite does not have full ALTER TABLE functionality. A useful pattern in both this book and in Test-driven Development is to wrap database calls in their own helper functions. This helps in testing but it also means that if you need to switch database backend or the library you are using for access then the impact is relatively low. I’ve gone some way to doing this in my own coding. The sections on Core and ORM are almost word for word repeats with only small variations to account for the different syntax between the two methods. Although it may have a didactic value this is frustrating in a book already so short. Reading this book has made me realise that the use I put SQL to is a little unusual. I typically use a database to provide convenient access to a dataset I’m interested in, so I do a one off upload of the data, apply indexes and then query. Once loaded the data doesn’t change. The datasets tend to be single tables with limited numbers of lookups which I typically store outside of the database. Updates or transactions are rare, and if I want a new schema then I typically restart from scratch. SQLite is very good for this application. SQLAlchemy, I think, comes into its own in more transactional, multi-table databases where Alembic is used to manage migrations. Ultimately, I suspect SQLAlchemy does not make for a whole book by itself, hence the briefness of this one despite much repeated material. Perhaps, “SQL for Python Programmers” would work better, covering SQL in general and SQLAlchemy as a special case.